It’s certainly been an excellent start to the Dubrovnik Summer Festival from the breathtaking fireworks at the opening ceremony to the international production of Mozart’s Cosi fan tutte or Verdi vs. Wagner in front of St.Blaise’s Church. The second week is not set to disappoint for those fearing an anti climax after a wonderful seven days. Tonight sees Mozart back in the city with a performance in the Rector’s Palace of Le nozze di Figaro. For those looking for a cinemtaic experience outdoors then head to Kino Slavica for a screening of ‘At Home’. Wednesday sees everything from folklore with FA Lindo to modern dance at the Marin Drzic Theatre. The Dubrovnik Chamber Choir will also perform at the Dominican Church at 9 30 pm. The highlight of the week however, has to be ballet. S.Prokofjev’s Romeo and Juliet will be performed on Thursday and Friday night in front of the Cathedral in what is set to be a stunning show. 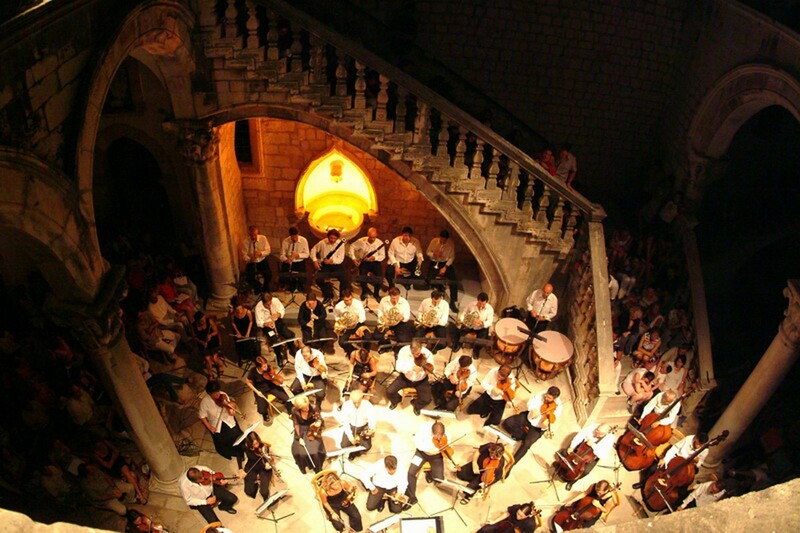 Sunday night will see Dubrovnik Symphony Orchestra perform with the Zagreb Quartet at Rector’s Palace and the return of the celebrated play, ‘Medeja’ to the Lovrijenac Fortress. Don’t miss the chance to see Hungarian pianist Gergely Boganyi perform pieces by Chopin and Liszt on Sunday evening. For more information on the Dubrovnik Summer Festival and where to get tickets click here.